New Capsuleers Welcome: Where Should You Go? A few days ago, I penned an article in which I questioned the conventional wisdom of recommending that every new player joins one of the sovereign null blocs when they start the game. It’s not that the null blocs are bad; this isn’t yet another article telling everyone that they should be flying Navy Omens in five man gangs or they’re doing it wrong. 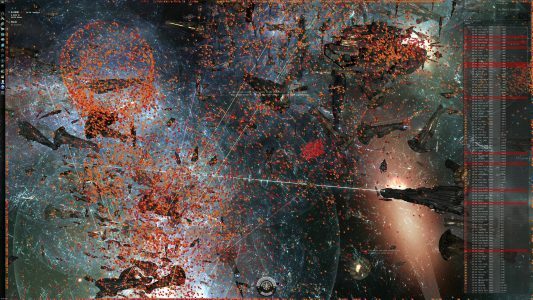 Some people absolutely thrive in corporations like Pandemic Horde and Brave Newbies — indeed, many come to Eve after hearing of grand battles like B-R seeking this type of gameplay — and there’s absolutely nothing wrong with those players being sent in that direction and joining those blocs. There are other players who, for an infinite number of reasons, don’t feel that those alliances are right for them. 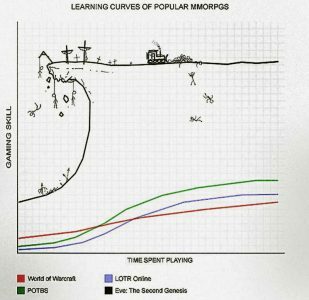 Maybe they’re not interested in PvP and want to be explorers, maybe they get lost in large groups, maybe they find the meme culture that’s prevalent in larger blocs to be intimidating, or maybe it’s something else I haven’t even thought of. 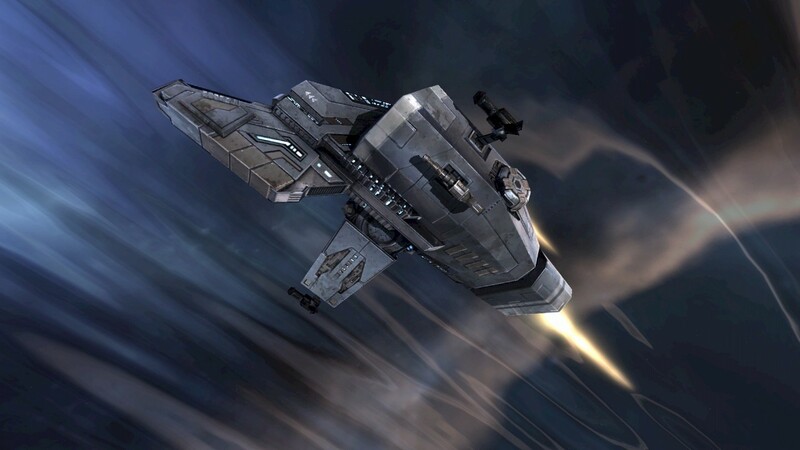 The issue is that by presenting new players only with choices of sovereign null corporations, we are implicitly telling them that sov null is the right way to play Eve, which may lead them to think that other choices — of which there are many in the sandbox — are inferior and not worth trying. I’d argue that by doing this, we’re not only losing potential capsuleers who could really enjoy the game by failing to show them what else is on offer; we’re also narrowing the scope of the sandbox itself by shifting the remaining player numbers to sov null, which has a knock-on effect on where CCP will spend their efforts. The question I left the last article on was “what am I going to start advising [new] people [to do]?” The answer was that I don’t know… but that isn’t good enough. The learning curve in Eve is a mountain, and for me to simply pose that we aren’t giving the right advice without offering a solution was a cop out. New Capsuleers Welcome is my attempt to answer the question: a series of features based on conversations with the leadership and line members of a diverse range of newbie-friendly organizations; with the aim of creating a ‘one-stop shop’ listing all of the options available to new capsuleers, whether they’re corporations, PvE groups, NPSI organizations or helper tools. An important note: joining a corporation isn’t a lifetime commitment. If a corporation sounds like it’s for you, but it doesn’t work out or you don’t enjoy it, go and try one of the others! There are a vast range of cultures and playstyles in Eve, so don’t settle for something that doesn’t suit you! I’ve got a few articles lined up, but I don’t want to limit the series to my personal network, so if you run or are a part of a corporation or other group which is centred around helping new players, please send contact details for the leadership to me in-game (mail to Twilight Winter) or on Twitter. Red vs Blue – A high-sec organization of two corporations in an endless state of war; the focus is on maximum PvP with little to no downtime, learning by doing, and having fun. Signal Cartel – A true neutral service provider organization focused on exploration, search and rescue, and teaching new players the ropes of the game in a family-friendly, snuggly atmosphere. Hiya, I’m really glad I have found this info. Nowadays bloggers publish just about gossip and net stuff and this is really annoying. A good site with exciting content, this is what I need. Thanks for making this web-site, and I’ll be visiting again. Do you do newsletters by email? Hiya, I’m really glad I have found this info. Nowadays bloggers publish just about gossip and net stuff and this is actually annoying. A good blog with interesting content, that’s what I need. Thanks for making this website, and I will be visiting again. Do you do newsletters by email? Hi there. I discovered your blog via Google whilst looking for a related matter, your site got here up. It appears good. I have bookmarked it in my google bookmarks to visit then. I just wanted to compose a simple note so as to thank you for some of the pleasant points you are placing on this website. My time-consuming internet search has at the end been paid with professional facts and strategies to exchange with my neighbours. I would assert that we readers actually are undeniably fortunate to exist in a really good network with very many lovely individuals with valuable plans. I feel very much privileged to have used the web site and look forward to so many more amazing minutes reading here. Thanks again for everything. Hiya, I am really glad I’ve found this information. Nowadays bloggers publish only about gossip and internet stuff and this is really irritating. A good blog with interesting content, this is what I need. Thanks for making this web site, and I’ll be visiting again. Do you do newsletters by email? Hey there. I found your site by means of Google even as searching for a comparable subject, your website came up. It appears great. I have bookmarked it in my google bookmarks to come back then. Hey there. I found your site by way of Google even as looking for a comparable matter, your web site came up. It seems to be great. I have bookmarked it in my google bookmarks to come back then. Hello there. I found your web site via Google even as looking for a similar topic, your web site came up. It appears to be great. I have bookmarked it in my google bookmarks to visit then. Hi there. I discovered your site by way of Google whilst looking for a similar matter, your website got here up. It seems to be great. I’ve bookmarked it in my google bookmarks to visit then. Hiya, I’m really glad I have found this info. Nowadays bloggers publish only about gossip and net stuff and this is actually irritating. A good website with interesting content, this is what I need. Thank you for making this web site, and I’ll be visiting again. Do you do newsletters by email? Hiya, I am really glad I’ve found this info. Today bloggers publish only about gossip and web stuff and this is actually frustrating. A good site with exciting content, this is what I need. Thanks for making this site, and I will be visiting again. Do you do newsletters by email? Hi there. I found your site by the use of Google at the same time as looking for a related topic, your web site came up. It appears to be good. I’ve bookmarked it in my google bookmarks to come back then. Hiya, I’m really glad I’ve found this info. Nowadays bloggers publish just about gossip and internet stuff and this is actually annoying. A good website with interesting content, that is what I need. Thanks for making this web-site, and I’ll be visiting again. Do you do newsletters by email? Hi there. I discovered your web site via Google whilst looking for a related topic, your website got here up. It appears good. I’ve bookmarked it in my google bookmarks to come back then. Hiya, I’m really glad I have found this info. Today bloggers publish just about gossip and web stuff and this is actually annoying. A good site with interesting content, this is what I need. Thanks for making this site, and I will be visiting again. Do you do newsletters by email? Hi there. I found your website by means of Google at the same time as looking for a related topic, your website got here up. It appears to be good. I’ve bookmarked it in my google bookmarks to come back then. Hiya, I’m really glad I have found this info. Nowadays bloggers publish only about gossip and web stuff and this is actually irritating. A good website with exciting content, this is what I need. Thank you for making this website, and I’ll be visiting again. Do you do newsletters by email?